Squee!! My daughter has asked for a project car! 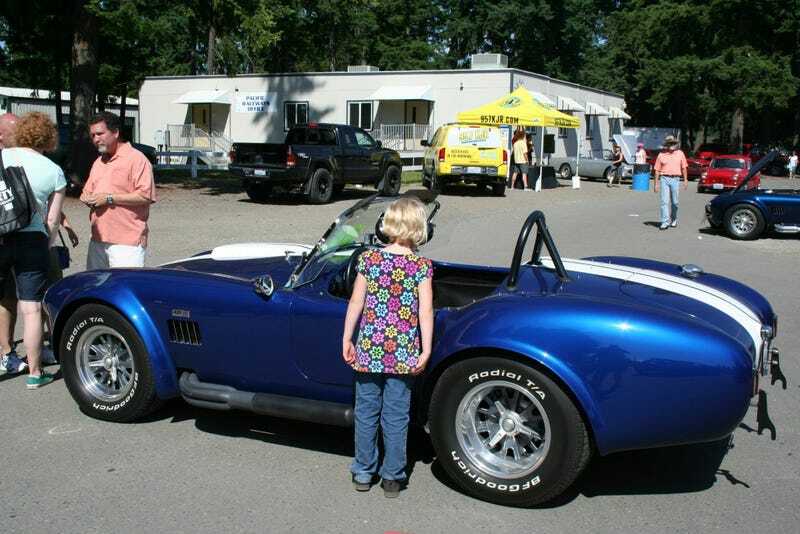 My daughter will be 8 next week, and I've been taking her to car shows and things like the NW Historics (pictured above) for a while now. Last night we were sitting in the living room flipping through the channels when there was a commercial on Velocity that had an Amphicar on it (no, it wasn't the Wheeler Dealer's episode, but that does come into play). We recently rode the Seattle Duck with my in-laws and she exclaimed, "WHOA! That car was just like the Duck! That's awesome!!" She's getting better at identifying different cars (I always ask her if she knows cars as we see them on the road, I do the same thing with my 6 year old nephew too). Anyway, I asked her what she thought about the Amphicar, and she started asking questions, "Is it heavy? How does it float? How does it go in the water? ", etc. That's when I fired up the XBox and flipped on YouTube. We pulled up the Wheeler Dealer's Amphicar episode (did I mention she loves watching Mike & Edd?) and started watching. Within minutes she was asking if we could buy an Amphicar that we could work on like Edd and that she could drive. Once I pulled a few up on eBay and some other sites and showed her how much they cost, she was a little disappointed. But damn the torpedoes! If I find an Amphicar project that's in my price range, she's getting her damn Amphicar! I'll even forgo my want for a 911 in order to get her one.